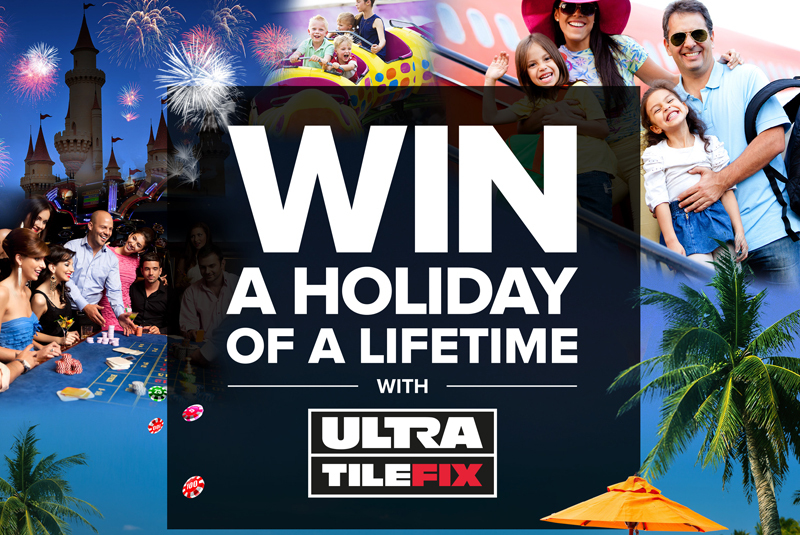 UltraTileFix’s New Year competition is offering entrants the chance to win a holiday of a lifetime when they spend £250 on its products. Prizes include a family trip for up to two adults and two children to Disney World Florida, a three night stay for up to four adults in Las Vegas or a 10 day all-inclusive holiday to the Caribbean for two adults. Each of these holidays includes flights, accommodation plus spending money. Entrants need to purchase £250 worth of UltraTileFix products from a local retailer or distributor and send UltraTileFix proof of purchase by visiting ultratilefixcompetition.co.uk and uploading a photo of receipts/invoices for the chance to win. For every £250 spent, one competition entry will be received and if £1,000 is spent in one transaction, or over three months, four entries will be given. There’s no limit to the number of entries which means the more spent, the higher chance of winning one of the amazing prizes. There is also an additional five pallets of UltraTileFix products and five Makita FM DAB Site Radios also up for grabs plus, everyone that enters the competition will automatically receive an UltraTileFix t-shirt. The competition closes on 31 March 2019, with the winner announced live on UltraTileFix’s Facebook page at 2pm on 3 April 2019. For full terms and conditions and for further information on each of the holidays and prizes available, visit ultratilefixcompetition.co.uk or call 01827 254455.